Democrat Jay Chen, 39, of Hacienda Heights has announced that he is running for the 39th Congressional District seat being vacated by Rep. Ed Royce (R-Fullerton). Chen, a member of the Mount San Antonio College Board of Trustees, previously ran against Royce in 2012, losing by 15 percentage points. “Six years ago I ran for this seat, hoping to turn it blue, and many of you joined me in that quest,” Chen said in a statement. “We defied the odds and laid the groundwork for resistance that ultimately led to a welcome retirement, and an opening to flip this seat. “I grew up in this district, attended public schools here, and am now proud to raise my own family in this diverse and welcoming community. Since 2007 I have been honored to represent this area as a school board member and community college trustee, and it would be my great privilege to represent my home in Congress. Please join me in my effort to restore integrity and accountability to Washington, D.C.
Chen is a lieutenant in the U.S. Navy Reserve and the owner of a company that invests and manages commercial real estate in Southern California, working with such retailers as Apple, CottonOn and Gymboree. The child of immigrants from Taiwan, he attended Hacienda Heights public schools and earned an NROTC scholarship to attend Harvard University, from which he graduated with honors. 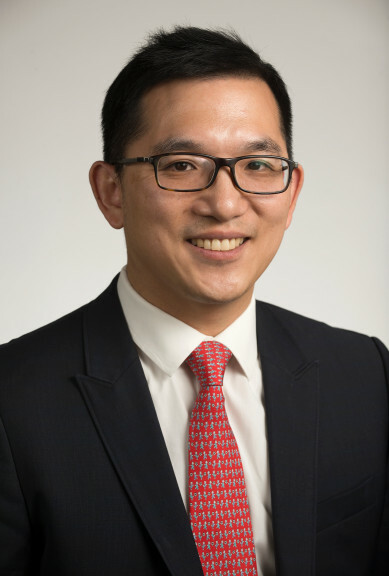 After studying at Peking University on fellowship, he joined a global strategy consulting firm, where he worked extensively with businesses in the software and logistics industries to manage mergers, build new products, and streamline operations. Chen was twice elected president of the Hacienda-La Puente School Board, the largest school district in the San Gabriel Valley with a budget in excess of $360 million. During his tenure he created several programs, including Mandarin language immersion classes, a culinary arts program, and free SAT tutoring. He has also utilized his experience as a Harvard admissions interviewer to provide free college application workshops to students so that they can improve their higher education opportunities. At Mt. San Antonio College he has served as a fiscal watchdog, overseeing a historic expansion and upgrade of the largest single-campus community college in California. Recently Mt. SAC was selected to host the 2020 Olympic Trials for track and field, and was given a full seven-year academic accreditation. In his race against Royce, the powerful chairman of the House Foreign Affairs Committee, Chen was outspent 5 to 1 but was victorious in Los Angeles County and set a record for most votes ever won against the 20-year incumbent. A lifelong Democrat, Chen has earned the party’s endorsement for all four of his races, and has been a county or state delegate each year since 2008. In 2008 he was elected a pledged delegate for President Barack Obama and in 2016 he represented the 39th Congressional District as a delegate for Sen. Bernie Sanders. In 2011 he was selected as the Democrat of the Year for the 57th Assembly District. Chen has served on the boards of the Old Pasadena Management District, San Gabriel Valley YMCA, Regional Connector Leadership Council, and Asian Pacific American Institute for Congressional Studies. He is a past president of La Puente Valley Regional Occupational Program and the Asian Pacific Islander School Board Member Association. He is also a Truman National Security Project Partner and a Marshall Memorial Fellow. As an intelligence officer in the U.S. Navy Reserves for the past eight years, he was part of Operation Key Resolve, the annual exercise held in partnership with the Republic of Korea to maintain stability on the Korean Peninsula, in 2014. He is currently attached to the Defense Intelligence Agency. Chen is fluent in Mandarin and Spanish. He is married to Karen Chang, an equal employment opportunity officer at the California Science Center, and they have two young sons. Democrats have targeted Royce’s seat as part of a national effort to flip enough GOP-held districts to take control of the House. Also on the list are the seats held by Darrell Issa of Vista, who also is not seeking re-election, Mimi Walters of Laguna Beach, and Dana Rohrabacher of Huntington Beach. Other Democrats running include pediatrician Mai Khanh Tran, former science professor Phil Janowicz, former congressional aide Sam Jammal, Lottery winner and education philanthropist Gil Cisneros, businessman Andy Thorburn, Cybil Steed and Ted Rusk. The primary will be held on June 5. The top two finishers, regardless of party, will face off in November. There is a possibility of a contest between two Asian American candidates. One day after Royce announced he would not seek another term, he endorsed a former staffer — former Assemblymember Young Kim — to succeed him. An immigrant to the U.S., Kim began her career as a small business owner and financial analyst. Her public service began more than 25 years ago, when Kim began to work for Royce, eventually becoming his director of community operations. Kim was elected to the 65th District seat of the State Assembly in 2014. Despite long odds, she unseated a fully funded incumbent, Democrat Sharon Quirk-Silva, to become the first ever Korean American Republican woman elected to the Assembly. In the Assembly, Kim championed a measure for protecting victims of domestic violence (AB 2078) that passed with bipartisan support. In a rematch in 2016, Quirk-Silva won back the seat. Continuing her community involvement, Kim has founded and continues to serve on the boards of numerous local nonprofit organizations, all while being a mother to four children and wife to her husband Charles. State Republican National Committeeman Shawn Steel said Royce would have been re-elected fairly easily. He pointed out that even though Democratic presidential nominee Hillary Clinton won the district by nine points in 2016, Royce received 57 percent of the vote. At the same time, Steel said any other Republican candidate is going to have a tougher time. Steel said his wife, Orange County Supervisor Michelle Park Steel, a former member of the State Board of Equalization, has been taking a steady stream of calls from Republican officials on a possible bid herself. It’s likely a lot of polling will be done to see which local politician has the best chance at hitting the ground running for a quick campaign, Steel added. Another name being floated as a possible candidate is former Assemblymember Ling Ling Chang, who lost to Democrat Josh Newman in the 29th State Senate District election in 2016. She served on the Diamond Bar City Council before being elected to the Assembly. Current Assemblymember Phillip Chen, who was elected in 2016, is also a potential candidate. He was previously an elected member of the Walnut Valley Unified School District Board. An Asian American candidate could have an edge in the district, where 29 percent of the population and one-fifth of voters are of Asian descent. Also on the list of potential candidates are former Orange County GOP Chairman Scott Baugh and accountant John Cullum. The filing deadline for candidates in March 9.